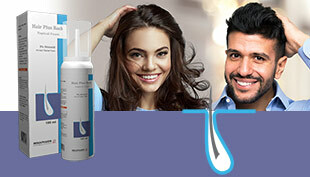 Ciprodiazole the optimal alliance combating mixed infections. 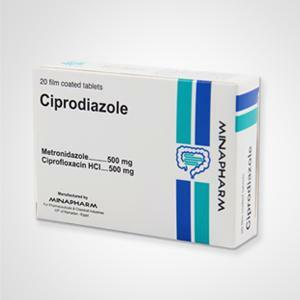 Ciprodiazole is the first and only Ciprofloxacin/ Metronidazole combination in the Egyptian market. It is indicated for all types of mixed infections and recommended by international guidelines. Composition: Each film coated tablet contains: Ciprofloxacin hydrochloride monohydrate 524.35 mg Eq. to Ciprofloxacin hydrochloride 500 mg Metronidazole 500 mg.
Excipients: pregelatinized starch, sodium starch glycolate, P.V.P K 30, lactose monohydrate 200 mesh, sodium lauryl sulphate, magnesium stearate, wincoat green. 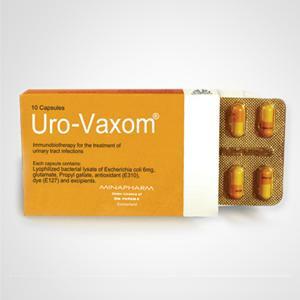 Indications: It is used in the treatment of Intra-abdominal and pelvic infections caused by E. coil, Pseudomonas aeruginosa, Proteus mirabilis, Klebsiella pneumonia, or Bacteroides fragilis . Diverticulitis. Dose: The recommended dosage is 1 tablet taken every 12 hours. 1- It is contraindicated in patients who are hypersensitive to Ciprofloxadn or other antibiotics of Quinolones group such as Orfloxacin, Norfloxacin, Trovofloxacin, Ofloxacin, as an allergic reaction may occur. 2- It is contraindicated with drugs primarily metabolized by CYP1A2 (cytochrome-1A2). 3- It is contraindicated with administration of Tizanidine. 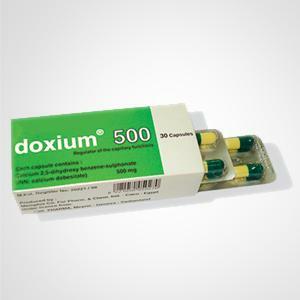 4- It is contraindicated in patients with epilepsy or other seizure disorders. 5- It is contraindicated in children & adolescents below 16 years. 6- It is contraindicated in patients who are hypersensitive to the metronidazole or other nitroimidazole derivatives, as an allergic reaction may occur. 7- Metronidazole should not be administered to patients with active neurological disorders or a history of blood dyscrasias. 8- Ills contraindicated in patents with G 6 PD enzyme deficiency. In the Metronidazole original product monograph, it was stated that: Comparison of the pharmacokinetics of oral and I.V. metronidazole, revealed that the area under the plasma metronidazole concentration against time curves were essentially identical. The dose of Metronidazole is worldwide three times daily, how come you recommend Ciprodiazole twice daily only? A- Ciprodiazole is a fixed combination. 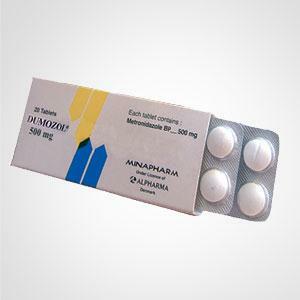 B- According to IDSA guidelines the recommended dose of Metronidazole is between 2– 3 times daily according to the case. C-According to the study "Disposition of Metronidazole in Asian surgical patient the elimination half-life was longer compared with those for healthy volunteers,“ C- We do not have studies on patients receiving 2 tablets per day but we found the following important data from the product monograph of Metronidazole and other sources: “The elimination half-life was approximately 7 to 8 hours.” The trough to peak ratio of Metronidazole was 12 and 26 mg/L respectively. The MIC ( Minimum inhibitory concentration) of Metronidazole is equal or lower to 8mg/L. From that we conclude that the trough score of Metronidazole was 12 mg/L while the dose recommended for susceptible effect was 8 mg/L during the half life of 7-8 hours and the half life of ill patients was longer than normal which means that 2 tablets per day would be effective with these patients. Tinidazole is better than Metronidazole.